The award-winning Chrysler Pacifica is now available with a new attitude, courtesy of the S Appearance Package. With the S Appearance Package, the 2018 Pacifica gets a sporty look featuring black accents inside and out. 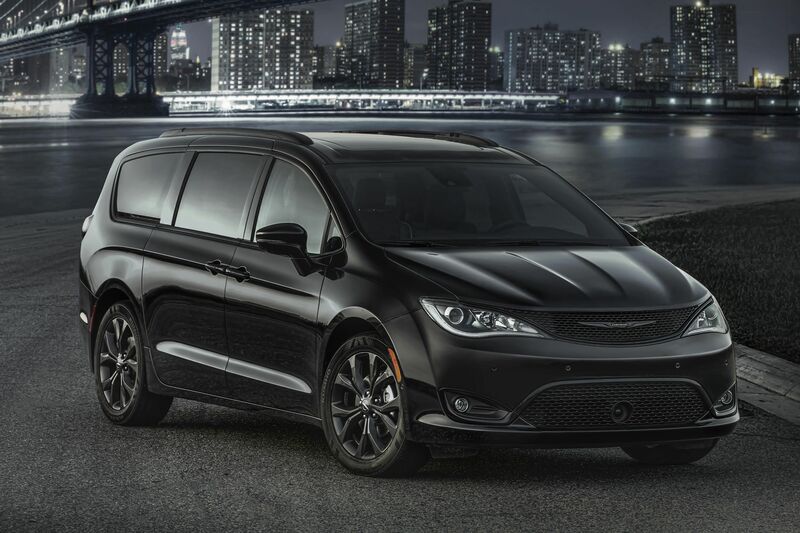 Already the most awarded minivan of both 2016 and 2017, the Chrysler Pacifica’s available new look is designed to attract even more attention. The Pacifica’s S Appearance Package features Gloss Black accents throughout the exterior, including grille surrounds, eyebrow accents on headlamps, daylight opening molding and rear valance molding. Eighteen-inch wheels with a Black Noise finish are standard, while 20-inch Black Noise wheels are available. The Chrysler wing badges on the front and rear are Black Noise with a Gloss Black insert, while the “Pacifica” and “S” badges in the rear are also in Black Noise. A black roof rack is optional on the Touring Plus and standard on other trim levels equipped with the S Appearance Package. The Chrysler Pacifica also receives additional updates for the 2018 model year, including standard SafetyTec across all gas and hybrid models, upgraded Uconnect 4 systems with Apple CarPlay and Android Auto and available 4G LTE Wi-Fi (late availability). The 2018 Chrysler Pacifica reinvents the minivan segment with an unprecedented level of functionality, versatility, technology and bold styling. Re-engineered from the ground up on an all-new platform, the Pacifica delivers class-leading gasoline and hybrid powertrains to the minivan segment. With more than 100 available safety and security features, the Uconnect Theater rear seat entertainment system, and a full array of comfort and convenience technologies, the Chrysler Pacifica is a no-compromises minivan ideally suited for today’s families and has earned its spot as the most awarded minivan of 2016 and 2017.